When I want to make serious points about why gun control is misguided, I’ll often cite the scholarly work of John Lott or the expert analysis of Larry Correia. There are also two pro-2nd Amendment columns (here and here) from self-confessed leftists that also make very persuasive reading. 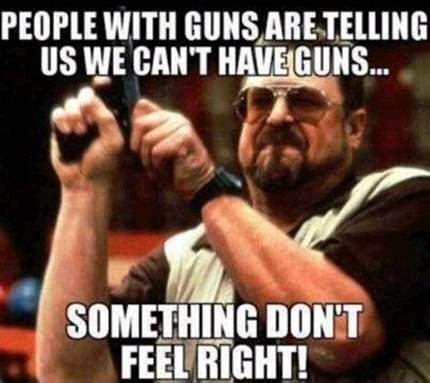 And let’s not forget the Constitution protects our right to keep and bear arms (at least for those who still think that document means anything). But I confess that I mostly like using satire and mockery when criticizing gun control. And I’m pleased to report that a friend sent me some very good new material. So, in the holiday spirit, let’s amuse ourselves by questioning the logic of the anti-2nd Amendment ideologues. We’ll start with one that has a two-pronged meaning. 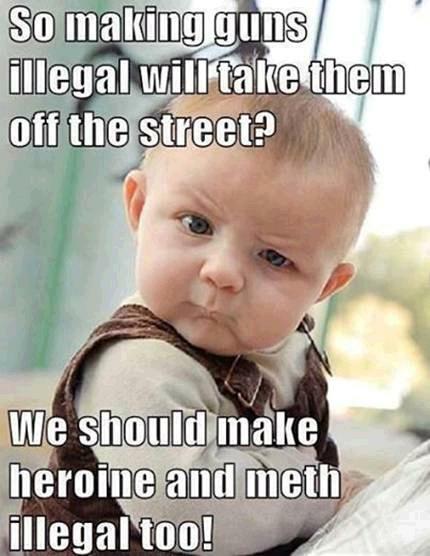 Because, like satirical images that can be seen here and here, it points out that both gun control and the Drug War are premised on the notion that government can make something disappear simply by making it illegal. Methinks the person who created this poster isn’t a good speller. But his logic is airtight. 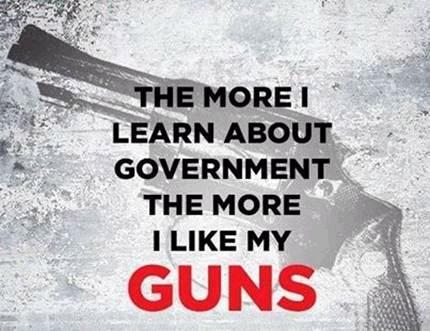 Gun control would disarm law-abiding people while leaving the bad guys with all the weapons. But that’s apparently too difficult to understand for people like Mayor Rahm Emanuel in Chicago (speaking of which, here’s how a statist might try to explain the different murder rates in pro-gun Houston and anti-gun Chicago). Our next image makes a very important point that school shootings basically didn’t exist back when there was no gun control. 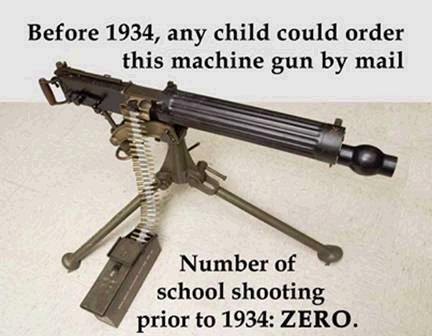 Even when actual machine guns were fully legal! The bad news is that anti-gun political correctness has taken over and resulted in preposterous horror stories in many government schools. But the good news is that while machine guns are now heavily regulated, at least Americans can still own tanks. The next two images make the philosophical point that we shouldn’t leave all guns in the hands of government, particularly given some horrible results from the 20th century. Very reminiscent of some of the images that are found here, here, here, and here. Here’s another one to add to the list. The gentleman makes a good point. Something definitely isn’t right, which perhaps explains why this poster of pro-gun control dictators is the 4th-most viewed thing I’ve ever written. P.P.S. I have a snarky IQ test for criminals and liberals, but I also have a serious poll asking people why they oppose gun control. P.P.P.S. The image at the bottom of this post makes me proud to be American. P.P.P.P.S. I’m sure this is an urban legend rather than a real interview, but I always get a laugh from this transcript.